TT's plywood vs. hardware cloth, etc. Re: TT's plywood vs. hardware cloth, etc. I like 2' wide beds best of all. I wouldn't mind a 3' x 8' for corn. 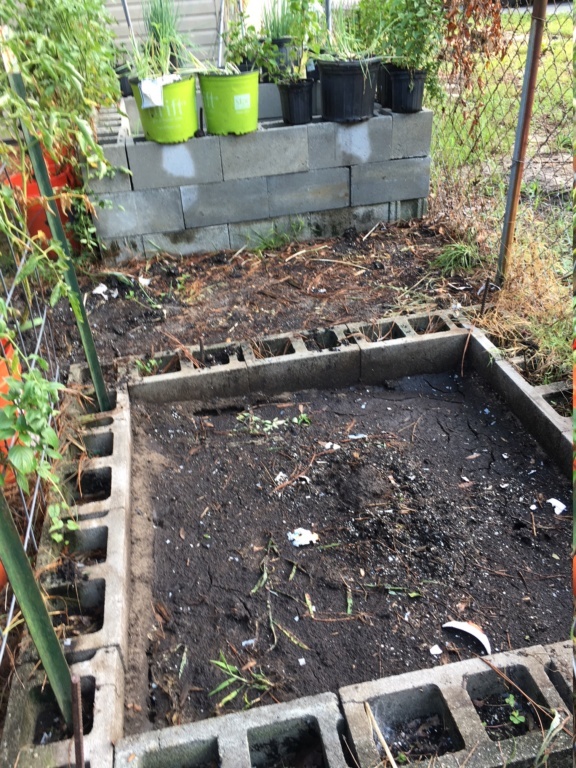 I used chickenwire with weed barrier over it for my beds. If you wanna see how i did it, http://squarefoot.forumotion.com/t21344-bryan-greenbeard-of-minnesota-s-2017-plans ive got a few rambling videos and some still shots. They held up great over the winter in minnesota when the snow was piled higher then they are tall and everything growing in them is super happy this second season. mine are in 3'x3' sections 3 in a row. and 5 in a corner. I built a bed using sanderson's hubby's plan the 4x4 one, for my moms house. 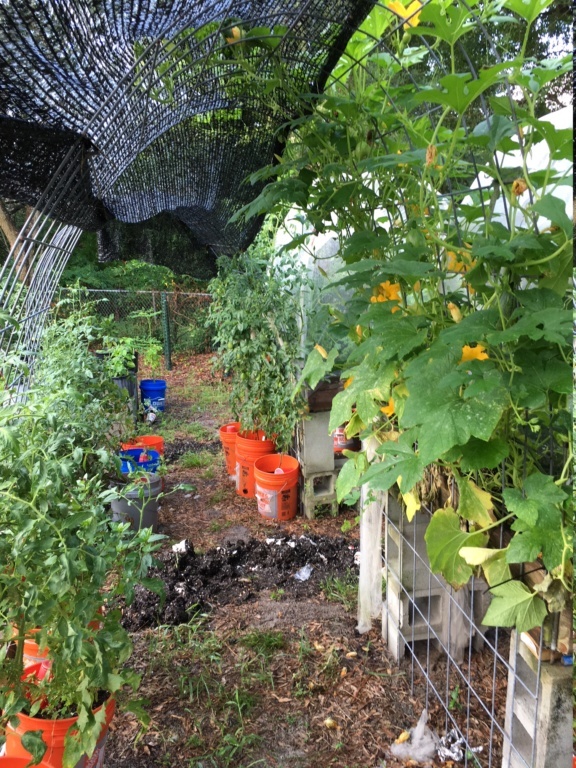 Its held up great over the winter.. this season though she just has a few lettuce, a couple peppers, and a ton of hens and chicks that shes trying to make some "carpets" out of for next spring in an area that not much grows.. It has a plywood base that i added a few drain holes to. weedbarrier over the plywood though under the mm. just cuz i had a couple yards left on a roll i wanted to use up. as ive only got 4x4 and 3x3's i prefer the 3's as i can reach the middle from either side comfortably so can pull off the anti-deer/rabbit fencing at my place and just reach over either way. At moms its easy nuff to get around the 3 sides to get anywhere in her bed, shes got a couple lines of tomato buckets going off one end of it. Thank you Bryan for your reply. I will enjoy reading through your table top adventure! @walshevak wrote: I have 10 with hardware cloth bottoms and up on cinderblock and 4x4x12s cause I liked the look. I used a three 1x4s to support the hardware cloth. How has this worked out for you? It has been a number of years since you posted this and I was wondering if your hardware cloth has held up? I have since moved and brought all my beds with me, but 2 didn't make the trip well. Used some sides and corner hardware to shore up the other 8. The 1x4s rotted out and I replaced with 2x4s this year, but otherwise the hardware cloth is good. Still gardening in my tabletops. 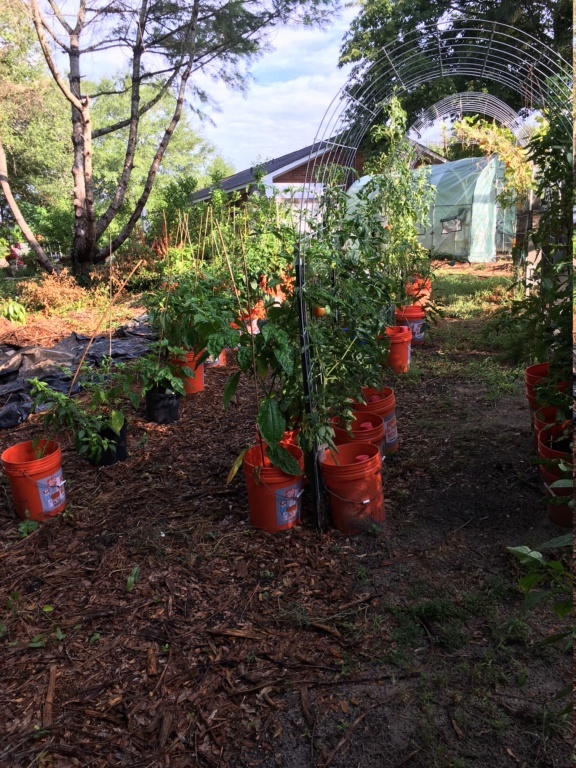 Beds on cinder blocks and peppers and tomatoes in buckets. Nice, Kay. I envy your bucket brigade.